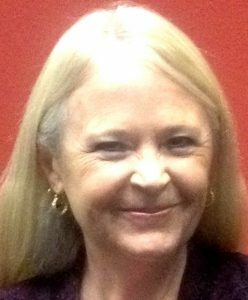 In her professional life, Dona Bailey was a microprocessor programmer in the 1980s, and she is now a faculty member in the department of Rhetoric and Writing at the University of Arkansas at Little Rock. She enjoys writing and creating digital artifacts of all types. In 1980, I was introduced to Space Invaders, the game, because of “Space Invaders,” the song by the Pretenders, and I recognized that the game looked like the displays of the 6502 microprocessor I was programming at the time for General Motors. I knew games would be more fun to work on than GM cars, and I set my ambition on becoming a game programmer. I would love to make a documentary of my years at Atari, but there are almost no archival materials available for the type of documentary I want. I view it as a big mistake that we took so few photographs in those days. It never occurred to me that 30 years later, I would long to see evidence of that past. I wish Atari had been covered in a book such as Fearless Genius by Doug Menuez. I’m always hoping I haven’t achieved my favorite success yet. I hope I’m not finished making things. Change is constant, and trouble stems from resisting change. Back in the day, I was shy. I got over it by teaching and by often speaking in public. I wish I had known how to get over it sooner. I read recently that Google’s Deepmind AI program has learned to outperform most humans on 22 classic Atari games from the 1980s, including Centipede. That’s so awesome. If you want to see interviews with people from the old days of video games, watch the independent documentary World 1-1 (2014). It’s mostly guys, of course, but I’m in it for a few minutes.